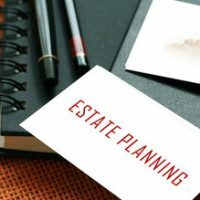 How you title real estate and other property you own individually, with your spouse, or with other family members plays an important role in New York estate planning. It can mean the difference between the co-owners you name automatically inheriting the full share of the property in the event of your passing, versus having to go through potentially time consuming and costly probate proceedings. This allows two or more people to own property together, with each holding a single, undivided interest. Each is the legal owner of their individual portion, and to sell the property, the other ‘tenants’ must agree or be willing to part with their share. Property can be divided in any percentage, with one of the tenants holding a larger interest than the other. If one of them dies, they can pass their interest on to other beneficiaries, while the remaining tenants continue to own their share. This allows two or more people to own proper together as co-owners, with full use and rights to the property as a whole. Survivorship rights mean that if one of the owners passes away, their share automatically passes to others listed on the title. Any of the owners listed on the title can convey their share to an outside property, but doing so would automatically sever the joint tenancy, along with the survivorship rights. You can also hold property rights through a living trust. Along with JTWROS, this allows property to transfer automatically to those named in the trust in the event of your death, thus avoiding probate proceedings. When a property owner passes away, their estate must be settled through the New York Probate Court. If they have a valid will in place, it will designate beneficiaries to inherit any property or assets once any outstanding debts are settled. Depending on the size of the estate and any additional complications, this can take anywhere from several months to several years. If a property owner passes without a will, their estate will be subject to the rules of intestate succession. Under these rules, the first to inherit would be any existing spouses and children, then parents, then siblings. This process takes considerably longer, as additional time is generally needed to inventory the estate and to locate rightful heirs. Using property titling or a living trust provides an increased level of security for your loved ones. It can save time and money in avoiding the probate process, and firmly establish your spouse or other loved ones as the owners of homes, land, cars or even financial accounts. To discuss how titling could affect your estate, contact Cavallo & Cavallo and speak with one of our experienced estate planning attorneys today.